First, let’s clear some things out, the sugar by itself isn’t evil, at all. It’s being produced naturally in plenty of foods, including milk and fruits. Our point is that, adding extra sugar to your dietary intake simply isn’t necessary. In fact, when you decide to quit sugar for life, you’ll notice numerous positive things happening to you. Even though people living in the Western world are used to sugary treats, as well as foods that include copious amounts of sugar for flavoring, one thing is for sure we certainly don’t need it. If you stop eating anything but naturally occurring sugars, you’ll notice these 5 very distinctive things happening to you. If you could ask your insides, what they wanted every day, their answer would be lots of fiber and a minimum amount of impure, tough-to-digest foods. When you remove sugar, you’re enabling your bowels and your tummy to reset their abilities to process what you’ve consumed. You may even find youself going to the bathroom more often… and this is a good thing. It means everything is getting back to a normal routine. Have you noticed yourself trying to unlock the mystery on why your acne appears and disappears despite all the ointments, creams and potions, you’re using? One of the causes might be that sugar, which is hurting your skin from the inside out. 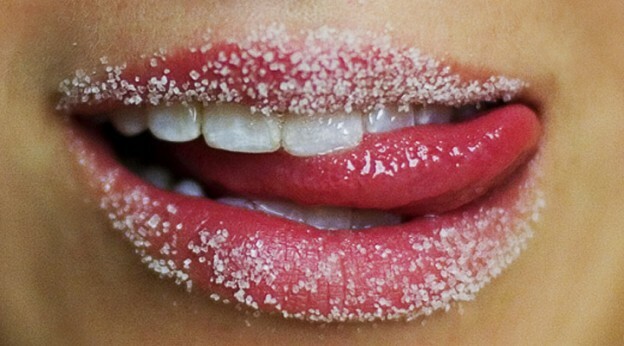 Many people report that after they stop giving in to sugar’s pull, their skin looks and feels healthier. Sugar makes you crave for even more sugar, and just to be clear we’re not talking about sugar in its raw form. Let’s face it: most sugar comes in high-carb and/or high-fat foods that contain tons of unwanted ingredients or at least have been processed. The exception here is, of course, the fruit, which is nearly all sugar. If you put your body on a sugar detox, it will not be subjected to the need to deal with all those additional calories. You’ll end up losing weight, and you won’t feel hungry, or at least not seeing the scale fluctuate as dramatically. Ironic as it is, many of us have a bad habit to reach for sugar – filled items, including so – called caffeinated beverages and energy drinks, when we feel tired. Yet, we’re guaranteed to have a higher energy level naturally, without all the sugar. In other words, all that sugar is blocking our body’s ability to keep our energy stores at maximal levels. Plus, there will be no raises and downs with your blood sugar, so afternoon crashes will become an experience of the past. It is a fact: sugar begets sugar. After you get rid of the sugar from your food diet, you’ll slowly begin to lose the desire to eat anything with sugar in it. Fruits will taste plenty sweet, and if you do take a bite of a pie or cake, you’ll be shocked at how overly sweet and overpowering it seems. We definitely do not recommend cutting you sugar intake at once, especially if you’ve been a sugar – holic for as long as you remember, it’s definitely a good idea to start cutting back now. So the faster you start, the faster you’ll reap the advantages of going sugar – free. In fact, in addition of the countless dangers of consuming too much sugar, the World Health Organization reduced its sugar recommendation – advising that less than 5% of your daily calories should be acquired from the sweet stuff, down from the early recommended 10 percent. We have some work to do, considering the average American consumes close to 5 grams each day. Begin slowly by calculating everything you’re drinking and eating. If you are addicted to sugar – laced coffee drinks sold at popular coffeehouses, reduce the number of times you drink them a day. Then, cut off some more. Soon, try avoiding certain sugar – laden products. Over some time, you will physiologically adjust to your new habits. One important thing that you have to remember is that it takes about 3 weeks before the new way of doing something becomes a comfortable routine. If you have slight missteps, such as eating a candy bar after a stressful workday, just keep going with your goal. The results of your persistence will definitely be worth it.